Department of Political Science has arranged a special lecture for the students of Political Science and International Relations to enhance the knowledge of students of department of political Science for their major courses and clear their visibility towards geographical regions of the world. The keynote speaker for the lecture was Mr Muhammad Shazaib. Head of department Geography, Govt. Post Graduate College for Boys Gujranwala, He has his specialization in Geography from Punjab University, Lahore. He disseminated very useful information over geography to the students. He also elaborated the factors of geography as well as tell the students very briefly how they effects on state and the region. Furthermore he share the map details and told students about map reading, because today’s educational system ignored the geographical studies and we cannot discuss any region without knowing their geography and social fabric of the state. 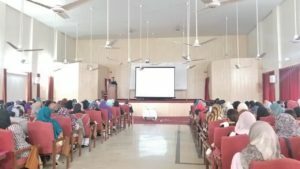 He also elaborated to the students about seas and oceans, continents, plateaus, Peninsula, Islands, Lakes, mountains vis-à-vis he cleared students about different states that make them important in the region due to their geographical feature or make them as buffer state only. 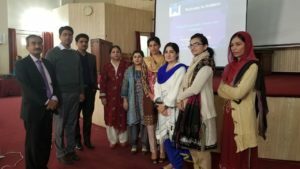 It was an extensive lecture purely based on geography as well as reading of maps, Students of Political Science read Political geography as a major subject as well as choose it as their research field too. 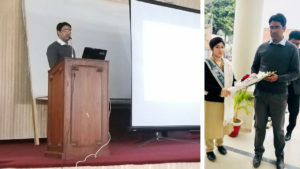 The reason behind the lecture to clear their views about geography, the regions and map readings, there were various misconceptions as well as queries of students regarding Political geography of the world has been cleared by Mr Muhammad Shazaib.